Aplicació Legal Desplaçada #3: F.I.E.S. A project by Núria Güell for Aparadors i Pantalles. I issued an open call to prisoners subjected to the F.I.E.S. regime* (Inmates under Special Observation), inviting them to write a poem, a short story or to make a drawing as a complaint regarding the institutional torture to which they are being subjected. Every day I send these poems to the politician responsible for legalising the F.I.E.S. once again, after the Supreme Court had declared this regulation null and void. I obtained his address by contracting a private investigator who specialises in tracing files to obtain personal information. In parallel, I delivered some customised packages with samples of materials received to journalists contributing to the justice section of the official media and to the public ombudsman, inviting them to a press conference in which, with the collaboration of a former F.I.E.S. inmate and a lawyer, we provide them with more information. Both the deliveries of materials and the press conference have been recorded, making evident which media have decided not to disclose the information. Each step of this action is based on white torture methods applied to prisoners subjected to the F.I.E.S. * In 1991, our society of democracy and rights, added the FIES regime (Fitxers d'Interns d'Especial Seguiment - Inmates under Special Observation)to our prison system. This makes use of measures of recruitment and isolation to force misfit prisoners into submission. These measures are not regulated by the Supreme Court, and are unconstitutional because prisoners' rights under the provisions of the Spanish Constitution were ignored, as well as the Penitentiary Regulations or the Penal Code, condemning inmates to vulnerability and helplessness, since the abuser himself must deliver any complaint regarding his own behaviour towards the prisoners. The field of criticism belongs to art, however it is not common to find criticism which takes on a proposing and transforming role. Núria Güell's work fits into this strategy where her task, as well as pointing out conflicts, takes on the role of mediation and direct involvement in order to channel alternatives. The Project Archivo Aplicación Legal Desplazada # 3: F.I.E.S. 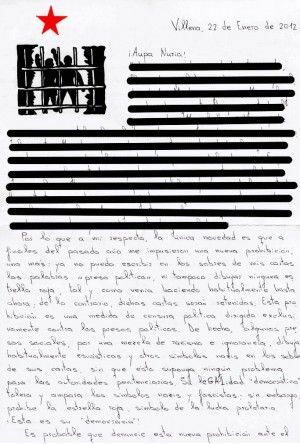 includes different witness-statements and documents (poems, letters, drawings, statements and official documents ) on the conditions under which prisoners on the F.I.E.S.regime (Ficheros Internos de Especial Seguimiento, or Inmates under Special Observation) live. This consists of a series of measures used by the Spanish prison administration, based upon intensive monitoring and control, in order to obtain more information from F.I.E.S. prisoners than from those imprisoned under other categories. Applied since 1996, this category was declared null and void in 2009 by the Supreme Court. In 2011 the Ministry of the Interior amended certain sections of the Prison System, once again legalising the practise. 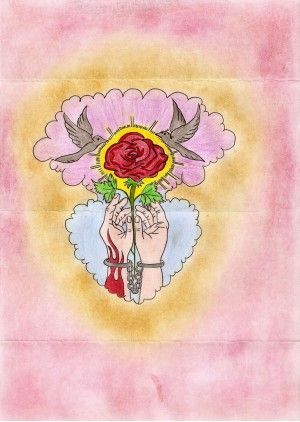 There is an open struggle driven by prisoners and supporting organisations against its regulations. 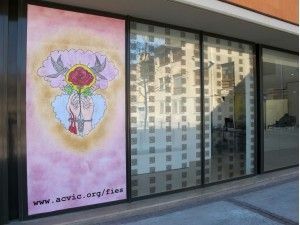 Núria Güell issued an open call to prisoners subjected to the F.I.E.S. 1 (direct control), inviting them to participate in this project which, as she says, is about the "institutional torture" to which they are subject, by writing a letter. Every day she sends one of these poems to the politician responsible for legalising the F.I.E.S. after its previous annulment by the Supreme Court. 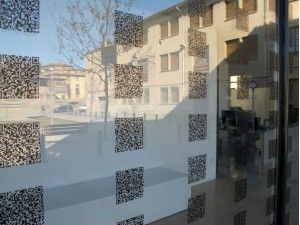 *This project is produced by ACVic, and received the support of Offlimits with the collaboration residence with Ayudas a la Creación Contemporánea de Matadero Madrid 2011 and felipaManuela.